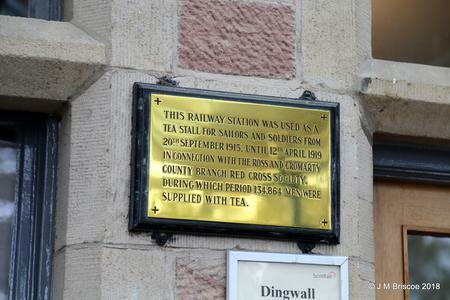 but is now an office. 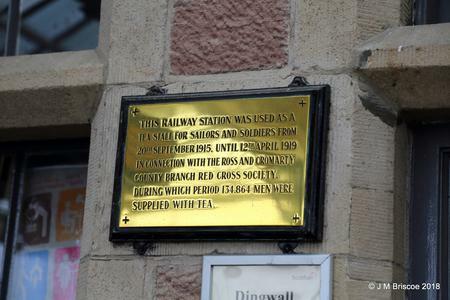 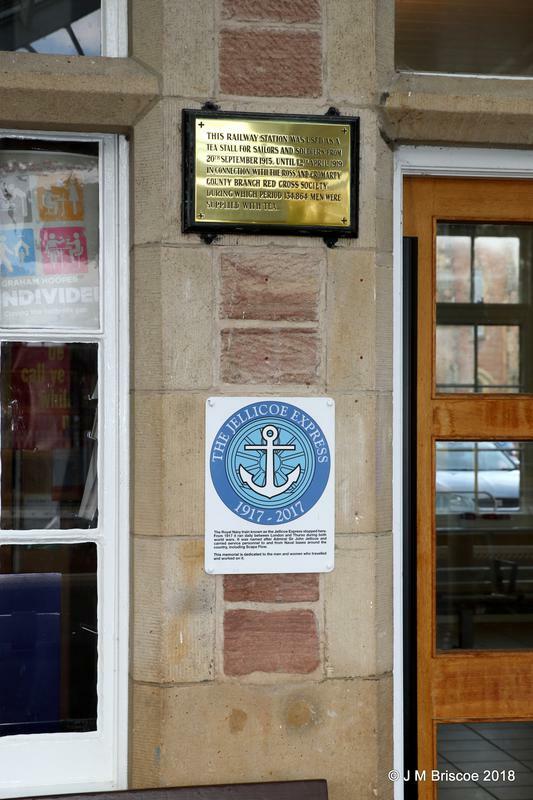 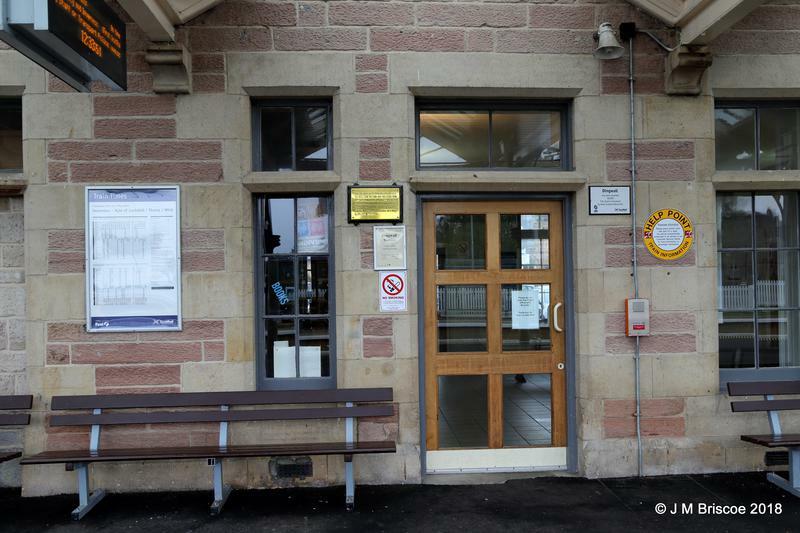 THIS RAILWAY STATION WAS USED AS A/ TEA STALL FOR SAILORS AND SOLDIERS FROM / 20th SEPTEMBER 1915, UNTIL 12th APRIL 1919/ IN CONNECTION WITH THE ROSS AND CROMARTY/ COUNTY BRANCH RED CROSS SOCIETY./ DURING WHICH PERIOD 134,864 MEN WERE/ SUPPLIED WITH TEA. 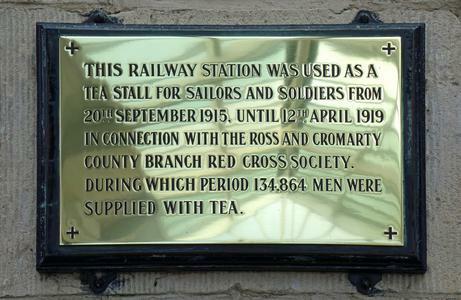 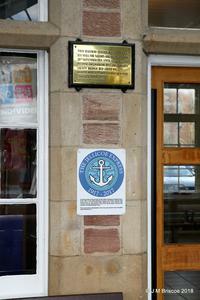 2008: designated by Railway Heritage Committee.